It’s Spotlight Monday…er…Thursday… 🙂 I won’t be able to do a Spotlight Monday next Monday, so I thought I’d do one today instead!! I’m a book worm and an English/grammar geek at heart. My pet peeve is when people say, “I could care less,” when in truth, they mean, “I couldn’t care less.” I was an English teacher for 4 1/2 years prior to becoming a mom, so I always say I had 450 kids before I ever had my own. I truly loved teaching but now my whole heart goes into being a mommy. Even though I grew up as a popular kid and “jock,” arts were always encouraged in my home, and I was fortunate to find the love of music and a gift of playing the piano. A night never passed when I didn’t witness my mom creating something with her hands, so it was only natural that I would take up crocheting while in high school. However, Twysted Yarn would have never come to fruition had it not been for my daughter. While pregnant with her, I taught myself the more fashionable side of crocheting (leaving behind granny squares and afghans and forging on to hats, headwraps and headbands, scarves, etc.). Crocheting now serves as that creative outlet and music of my soul. I love putting together colors, materials, and ideas to create something beautiful. I’m a busy mom of 2 babes under 2, and my life is so abundantly full of love and joy. Our firstborn, a boy, has Down syndrome, and he has taught us what true beauty, love, and joy are. His little sister already is fiercely loyal and protective, though she’s only 9 mos old and doesn’t know the significance of that. What “Twysted Yarn” represents to me is that you can take what others view as a tangled mess and with a few “twysts”, create something beautiful, sort of like our sometimes crazy, messed up lives. 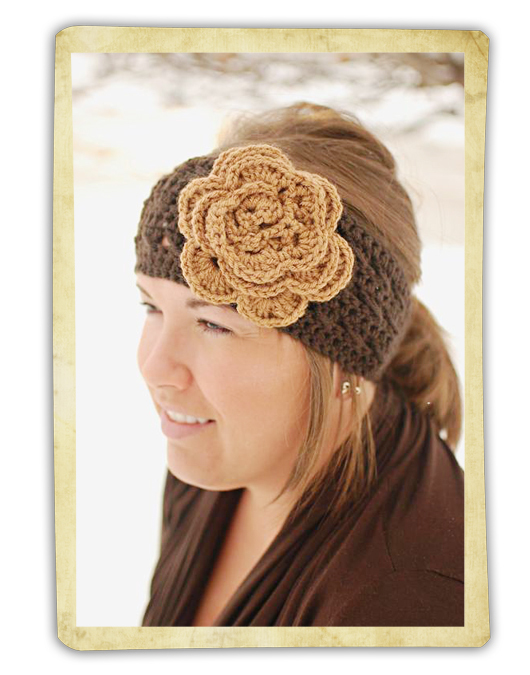 Morgan has graciously offered this *fabulous* “Lauren Headwrap” as today’s giveaway from her Etsy Shop! Ladies, this is so perfect for the spring! Want to win the Lauren Headwrap? Simple. There are many ways (3, in fact)…do them, and then come back to this blog post and leave a comment for each step you did. 2) “Like” Twysted Yarn on Facebook, or if you are already a fan – great! — Let her know Jaci Forshtay | Photographer sent you today! DON’T FORGET TO COME BACK AND LEAVE A COMMENT BELOW FOR EACH STEP YOU COMPLETED…the winners will be chosen randomly from the blog comments.